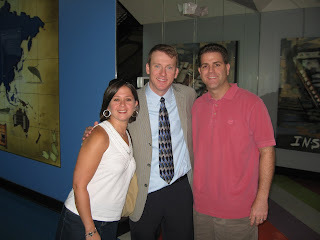 Ron Clark Meets Brad and Nancy! 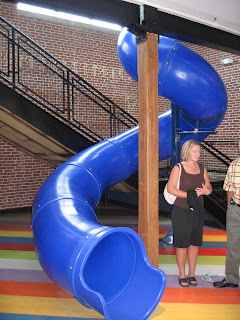 We had a chance to visit the Ron Clark Academy in Atlanta and it was a great experience. Not only did we get to meet Ron Clark, but we also had a chance to see one of the neatest schools in America. If people say the sky is the limit, then wait till you meet Ron. WHe had a dream to have a school like no other in the world. And that is what he did. 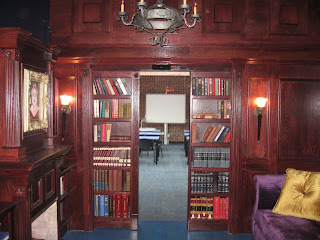 There is a slide inside the building, technology all over the place, flat screen TV’s in the bathroom, hidden classrooms behind bookshelves (much like Scooby Doo shows), and much more. This middle school for grades 5-8 will be one where the students have a chance to travel around the world and have meaningful instruction. Be sure to check out the website and enjoy the pictures! I would like to thank Mr. Pack and the other staff members I met for a great experience. 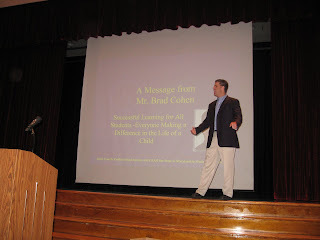 You are currently browsing the Class Performance blog archives for August, 2007.